For many, Lent is so identified with Roman Catholicism that it’s difficult to imagine an evangelical observance of it. Hopefully my answers to the various objections in part 1 will be enough ease this concern. But in short, Lent doesn’t have to be Roman Catholic any more than Advent, Christmas, or Easter. It is, so to speak, what we make of it. Having said that, I think it’s also fair to admit that in countries (I’m thinking of a friend in the Czech Republic, for instance) where social and cultural life is interwoven with Roman Catholic rituals, it might be too difficult to distinguish an evangelical observance of Lent from the corrupted practice of the broader culture. Perhaps there would be a way to turn a countercultural observance of Lent into an opportunity for evangelism in those settings, but I would have to defer to those who know those cultures better than I do. For my present purposes here, I just want to register my admission that an evangelical version of Lent may not fit everywhere. Should we do an Ash Wednesday service? The beginning of Lent is marked by Ash Wednesday, where a solemn service reminds us that we are dust, and to dust we shall return. This is where the “imposition of ashes” takes place: everyone receives the a smudge of ashes on their foreheads in the shape of a cross. In short, I don’t think this is necessary to an effective Lenten observance, and wearing the ashes on your forehead all day is one sure way to make a display of your piety, something Jesus forbids. On the other hand, gathering with others to pray and mark the beginning of the Lenten season with a penitential tone could be an effective way to launch the season. 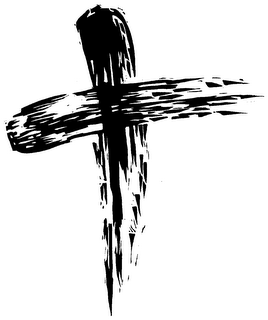 Following an Ash Wednesday liturgy is not the point, setting your mind and heart on the season is. Fasting is traditionally a part of Lenten observance. But as I acknowledged in part 2, we cannot require other believers to fast. In fact, Jesus said that other people should be unaware that we are fasting (Matt 6:16-18). This applies to fasting during Lent as well. Beyond recommending John Piper’s excellent book on fasting, I will just say this: fasting of whatever kind has been one of the most humbling things I’ve ever done. It reveals just how enslaved I can be to my appetites rather than bearing the Spirit’s fruit of self-control. I highly recommend it, but only if you want to learn some sobering lessons about yourself. I was reminded that Lent is largely about being humbled. Besides the fear of the unknown or the Roman Catholic, I think this is really why most evangelicals resist the practice. It is an inherently pride-crushing, soul-deflating experience. I was once again clobbered in the face with my besetting sins—those that “so easily entangle” me. At the same time, I was struck in a fresh way that Lent is woven through with encouragement. I generally followed the daily reading plan based on the Revised Common Lectionary as laid out by this excellent website. In doing so I was humbled to the dust in meditating on penitential Psalms like Ps 51, but then I was lifted up by the astonishing mercies of God as beautifully sung, for example, in Ps 107. Lent is not about wearing a long face and feeling depressed for six weeks. It’s about soaking in the gospel of God’s infinite, surprising grace poured out on helpless, undeserving sinners like me. It’s about appropriating that grace in a life that is increasingly oriented toward him and his desires rather than me and mine. And all of this as a way of anticipating and preparing for the celebration of Christ’s resurrection on Easter. Lent isn’t just about “putting off,” it’s also about “putting on.” For me, this year’s Lent was a time of building something new, of trusting the Lord to make a kind of fresh beginning in me as I celebrate Christ’s resurrection. I wasn’t fasting from anything, and I wasn’t attacking some particular sin pattern or weakness. Having being through nearly two years of difficult transition in life as a whole, I was focused on learning to trust God to help me move on wholeheartedly to the new opportunities he has placed in my life. Even though I knew it would make for awkward timing, I waited until after Easter to write my thoughts about Lent because I wanted to walk through the entire season first and then write from experience in addition to addressing the topic historically and theologically. There’s much more that could be said, but this will provide a starting point next February when the naysayers speak up again. At that time I will repost these thoughts and hopefully add another one that helps people prepare for a Christ-centered, gospel-rich, repentance-enhancing observance of Lent. Meanwhile, your comments are welcome.